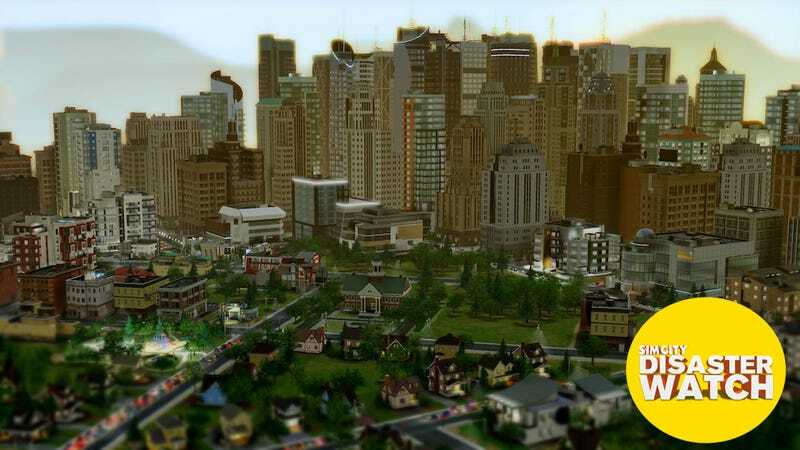 Stop holding your breath for an official offline mode for the new SimCity. It doesn't seem like you'll be getting one, perhaps ever. In a detailed blog post addressing concerns about server usage and the new game's always-online connection, Maxis general manager Lucy Bradshaw refined her studio's position and offered a thank you to players who have been plugging away with game. Read her post now, or perhaps stick around here for some annotations to help put things in perspective. Bradshaw's blog appears to address the two issues that flared up in coverage on Kotaku, Rock Paper Shotgun and other outlets this week. For one thing, many of us discovered we could play the game offline. With the standard game, we got 19 minutes of offline play in. But we couldn't connect to other cities networked to ours in our regions. And then there was a Reddit user who posted a video seemingly showing the game running in an offline debug mode—again, with no connections to a wider region of cities. So fans are asking: can't we have an offline mode? Note the word "subset." It appears she's saying that an optional side-mode for offline play isn't going to be offered. We've asked EA to clarify and explain how that squares with that video of the seemingly-functional offline debug mode. The other big controversy about the game this week involved the extent to which the game uses EA's servers. This spun from interpretations of earlier comments from Bradshaw that suggested the game's engine needed the servers. But if the game's cities could be built up while the game was offline—and if the game didn't seem to be using its servers to bolster the computing power behind the simulation running in a given city—how could this be? Were the servers really just being used for city-to-city region stuff? And not in-city stuff? We keep the simulation state of the region up to date for all players. Even when playing solo, this keeps the interactions between cities up to date in a shared view of the world. Players who want to reach the peak of each specialization can count on surrounding cities to provide services or resources, even workers. As other players build, your city can draw on their resources. Our Great Works rely on contributions from multiple cities in a region. Connected services keep each player's contributions updated and the progression on Great Works moving ahead. All of our social world features - world challenges, world events, world leaderboards and world achievements - use our servers to update the status of all cities. Our servers handle gifts between players. We've created a dynamic supply and demand model for trading by keeping a Global Market updated with changing demands on key resources. We update each city's visual representation as well. If you visit another player's city, you'll see the most up to date visual status. We even check to make sure that all the cities saved are legit, so that the region play, leaderboards, challenges and achievements rewards and status have integrity. Cloud-based saves and easy access from any computer are another advantage of our connected features. You can pop from work to home, play the game and have your cities available to you anywhere. Almost all of our players play with connected cities. But some chose to play alone – running the cities themselves. But whether they play solo or multiplayer, they are drawn to the connected city experience. And Always-Connected provides a platform for future social features that will play out over regions and servers. This surely ends any chances of EA arguing that the game's servers are needed for individual cities. It's clear from tests we've run and from what Bradshaw is writing that the game's servers help players and their cities connect to other players and cities. But the servers don't seem to be used to, say, make pedestrians smarter or buildings build faster. In a blog post yesterday, SimCity's lead designer, Stone Librande, promised iterative changes in the game's artificial intelligence. With the server-capacity woes seemingly past and these types of tweaks being addressed, EA might be finding their way out of the woods. But that lack of an offline mode is going to dog them, especially when it still seems like a "subset offline mode" would be possible. We'll keep you posted as this saga continues.